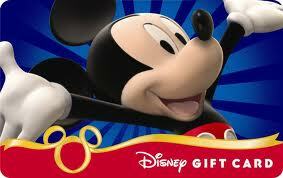 After 29,359 entries, spanning nine full days, we have a winner in the $100 Disney Gift Card contest! Congratulations to Michelle W., who won the gift card based on her entry number 28,173! Michelle, we have sent an email to your email address on record for the entry, so now it is up to you! Send a reply email with your address to us, and we’ll get your gift card sent out to you! The clock is ticking, though. You have until 7:31 AM on Tuesday, October 9, 2012 to reply! If we don’t here back from you, we’ll have to select another winner, so make sure that doesn’t happen! To everyone else that entered, I’m sorry that we don’t have a gift card for each and every one of you! However, I hope that you’ll continue to follow our blogs as we continue to strive to bring you information that will help you in your Disney planning! Here is the list of blogs once again in case you want to click on over to one of them, and thanks for stopping by! Previous Post: Disney In Pictures: Frontierland! Next Post: Tiggerific Tuesday Trivia — This Day in Disney History!